The bright colours will be suitable for all types of decoration around the home. 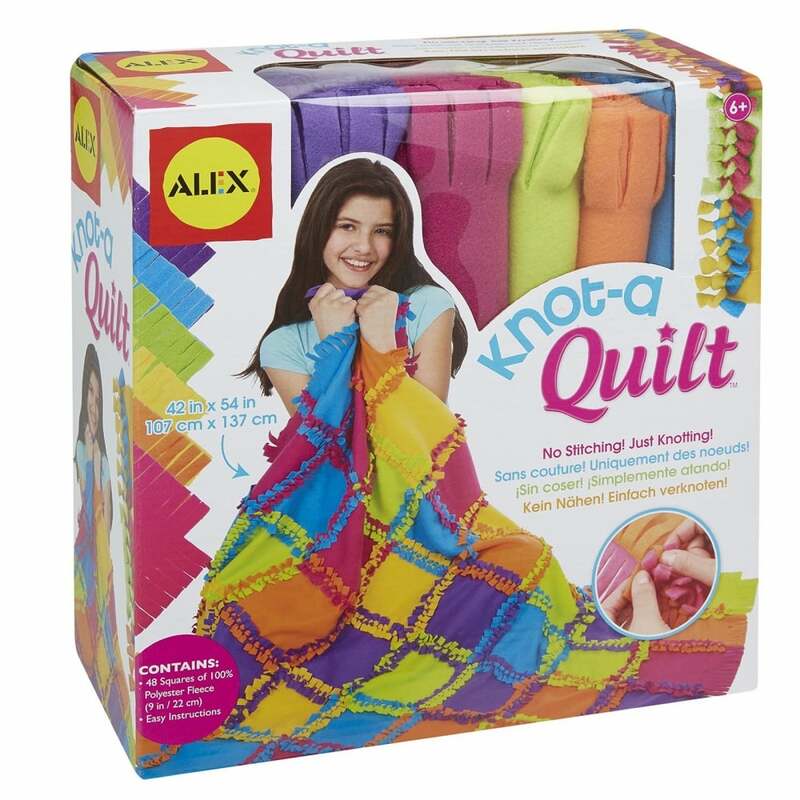 You don’t need knitting needles or know how to stitch to make this quilt, all you need to know is how to tie a knot the easy-to-follow instructions will help you. Knot away to make a giant 42″ x 54″ quilt in just a few hours, tie the fringe squares together into a knot to create a colourful pattern. This will be perfect for covering a chair or a snuggle blanket. Kit comes with squares of fleece in 6 bold, bright colors. Kit contains 35 squares of 100% polyester fleece (22cm) and easy to follow instructions.